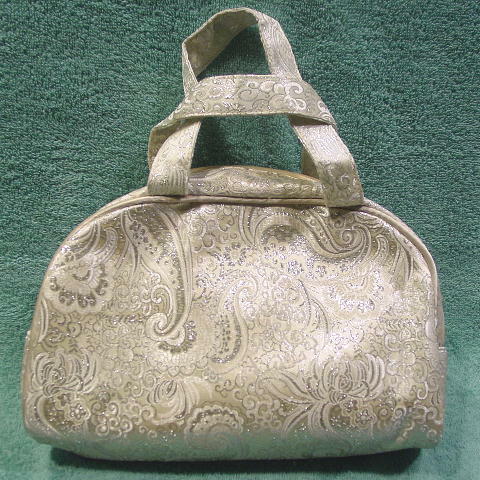 This never-used fabric evening purse could also be used as a travel makeup bag. 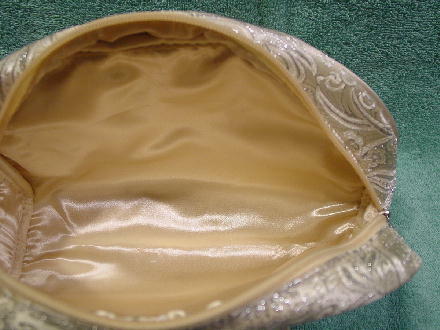 It has a side (midway) to top to side zipper opening and a champagne color (probably acetate) lining. There are two 12 1/2" long by 1" wide handles. 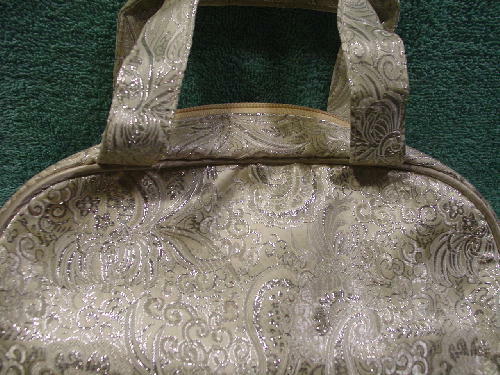 The exterior has a champagne fabric background with a flower, leaf, and paisley elevated silver metallic thread design. When she traveled, she carried her makeup in a plastic bag inside it and when she went out at night, she used it as her evening purse.